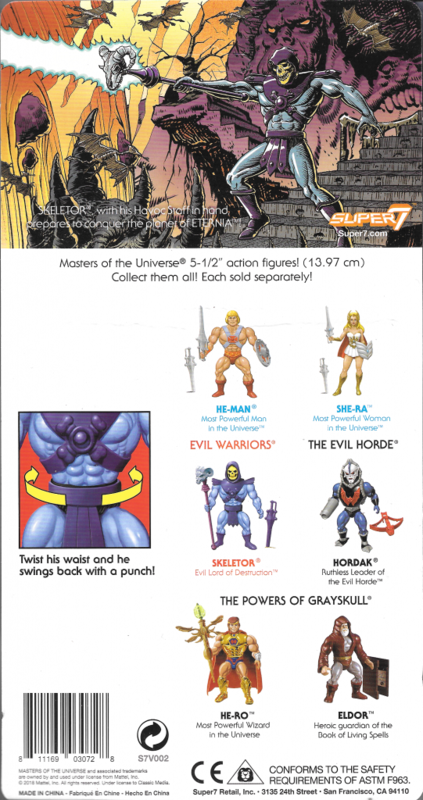 Announced in 2017, Super7’s vintage style, 5.5″ Filmation inspired Skeletor figure was released in 2018 along with similar versions of He-Man, She-Ra and Hordak. 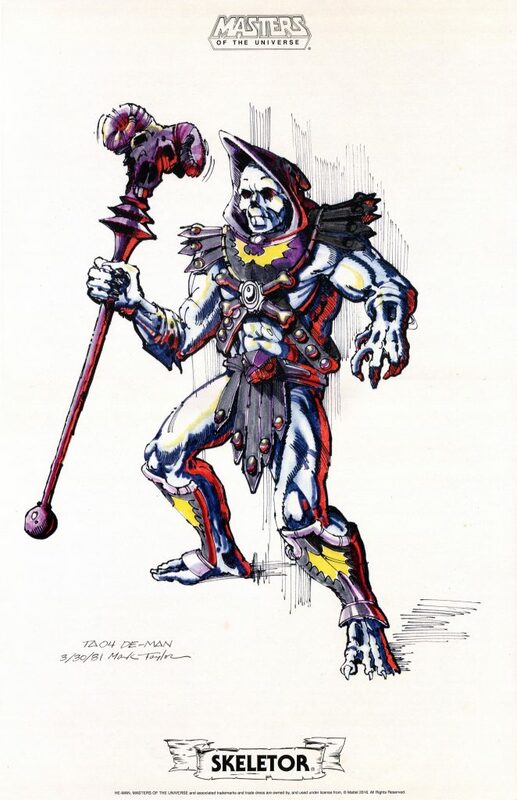 The design ethos seems to be based on the following premise: what if, in the 1980s, Mattel released a series of He-Man variant figures that were “as seen on TV”? 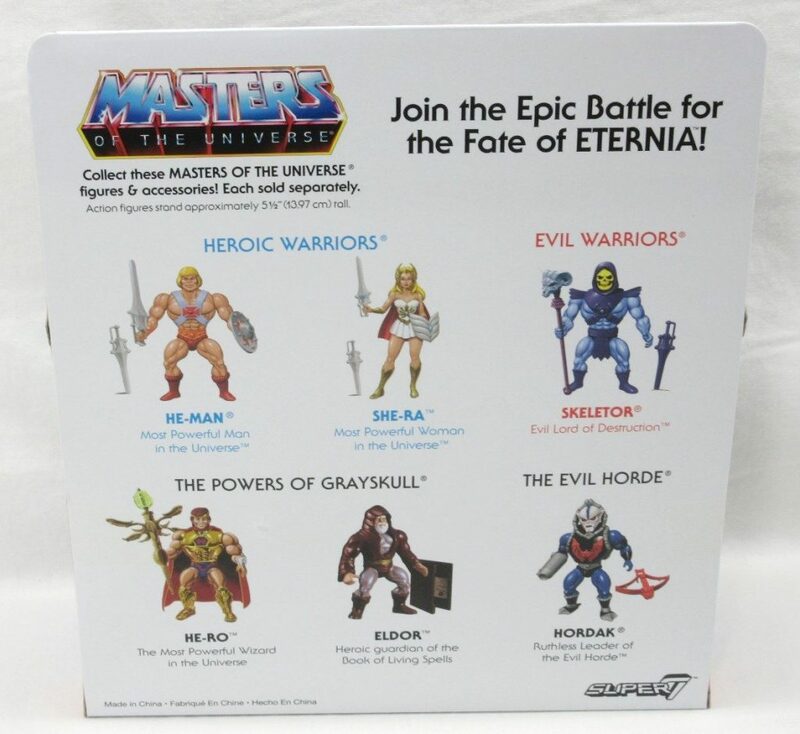 That’s pretty much exactly what we get with this series, including the occasional design shortcuts that Mattel might plausibly have implemented in the 80s. 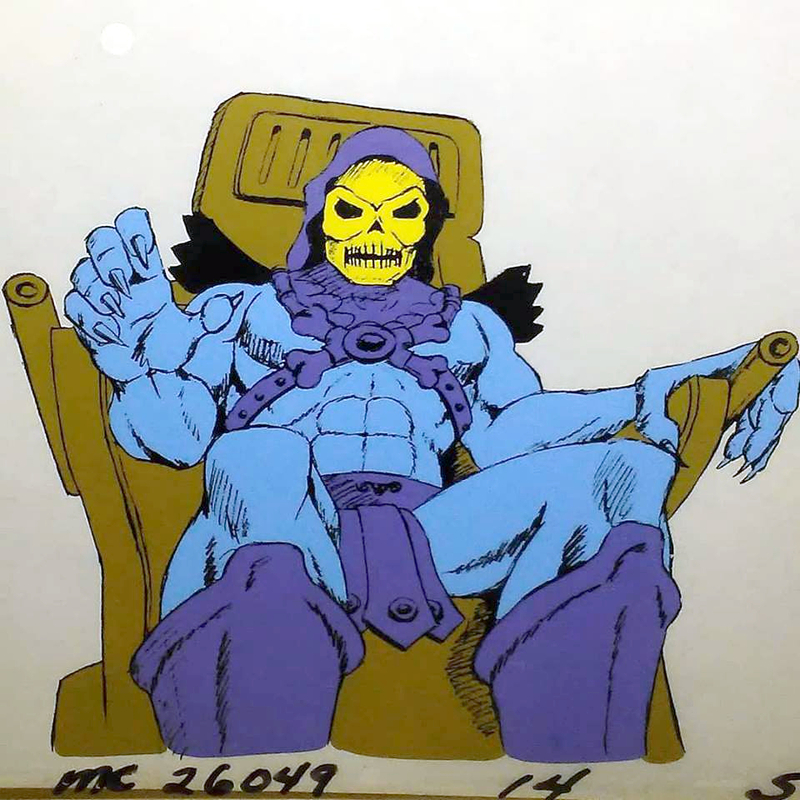 In the above sheet (put together by The Power and The Honor Foundation), we see the vintage Skeletor figure, along with a work in progress and a finalized version of Skeletor’s animated design. 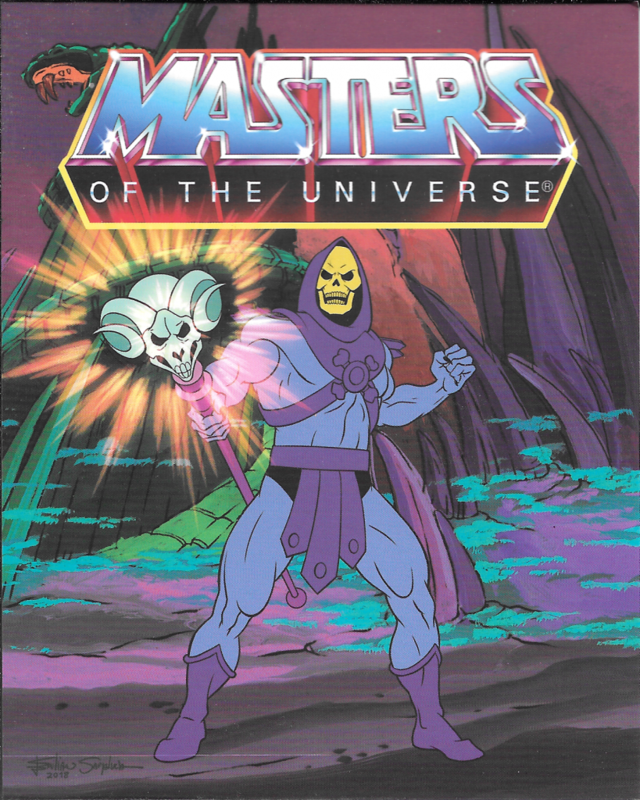 His animated appearance in an early Castle Grayskull commercial is also referenced, although an image isn’t included, likely because most images of Skeletor in the commercial are close-ups. 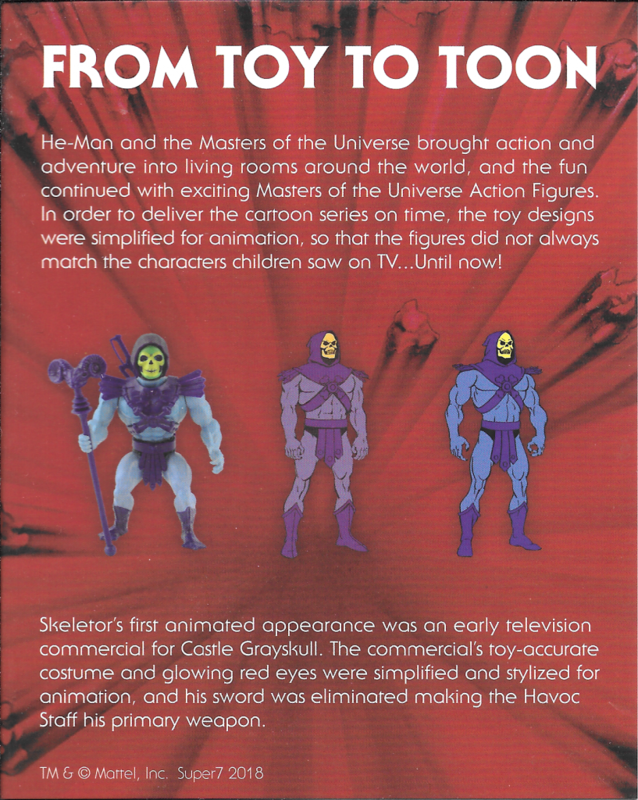 As shown in the card that came with the Super7 Skeletor figure, Skeletor’s more detailed action figure design was simplified for ease of animation once the animated series was greenlit for development. The evolving and finalized designs can also be seen in the images below. 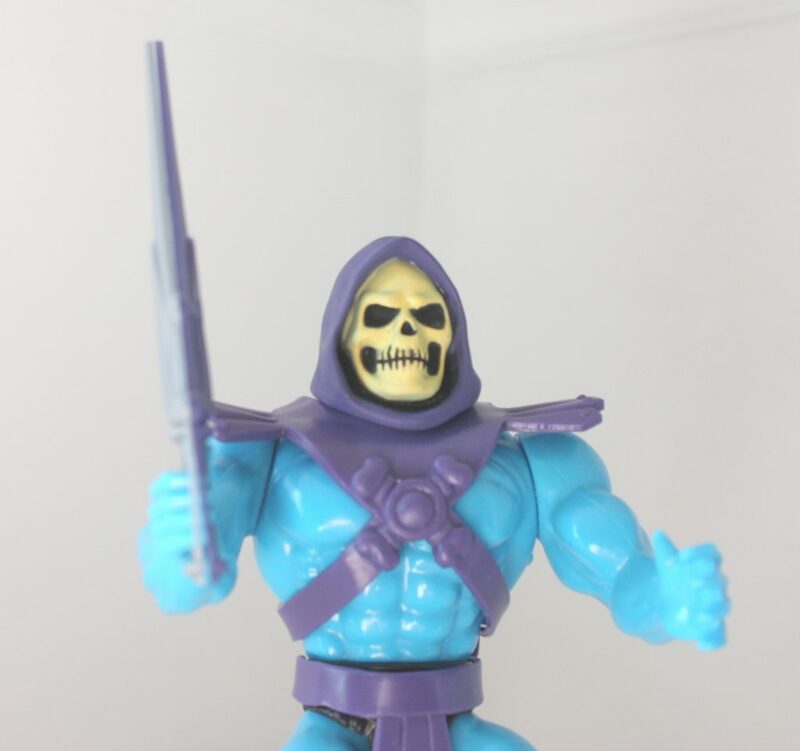 He also has a more realistic hood design compared to the vintage action figure, and an angrier-looking face. 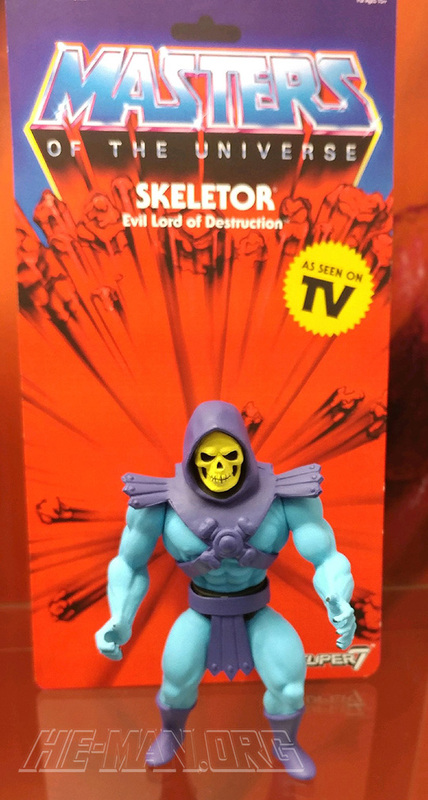 Design-wise, the sculpt of the chest and pelvis seem to be taken directly from the vintage 1982 figure. 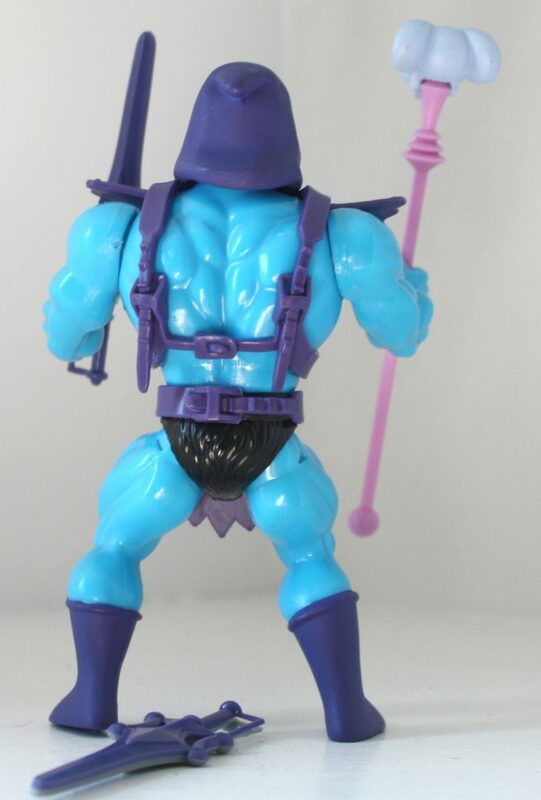 The arms are based on the vintage figure as well, but the “fin” structures on the forearms have been removed. 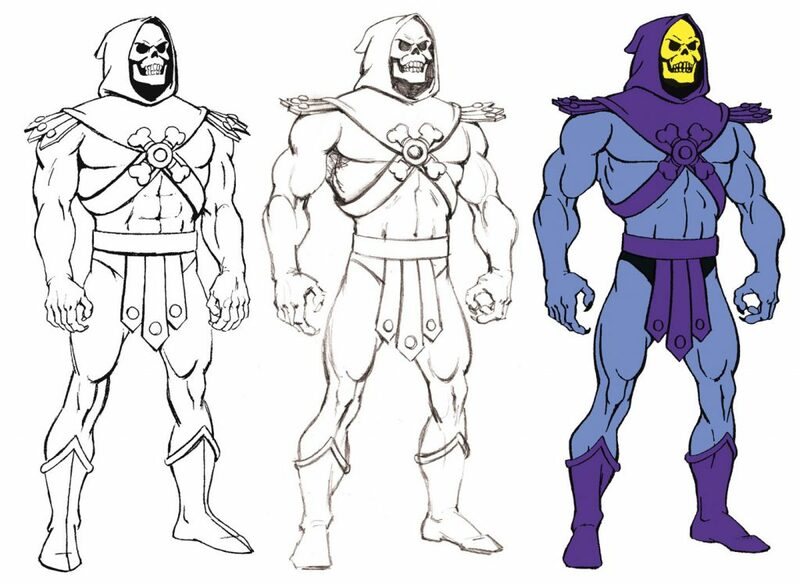 The feet have been changed, removing the three-toed feet and substituting the streamlined boots from the cartoon. 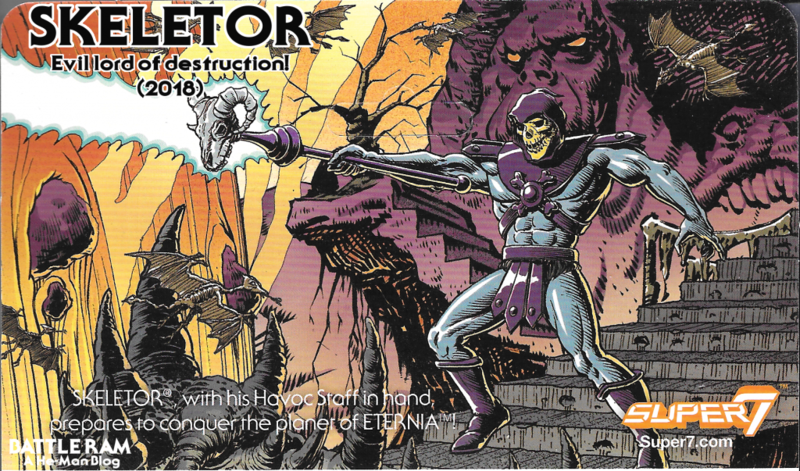 The production figure, as is always the case, isn’t quite as sharp as the prototype. 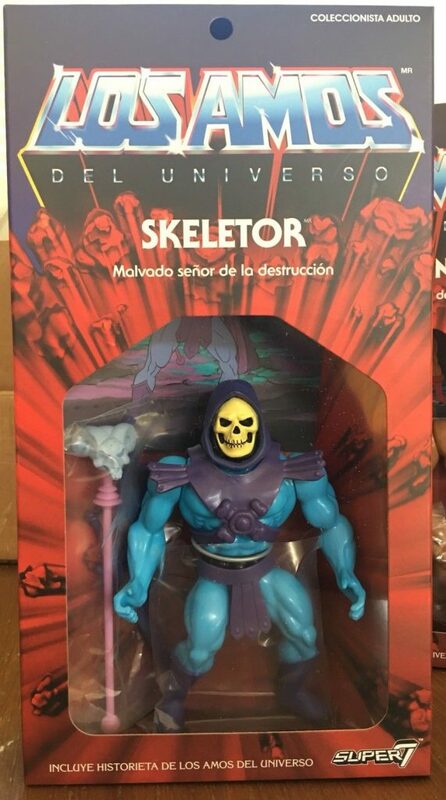 It’s pretty closely based on the Filmation source material, but of course with the bulky proportions of the vintage toy. 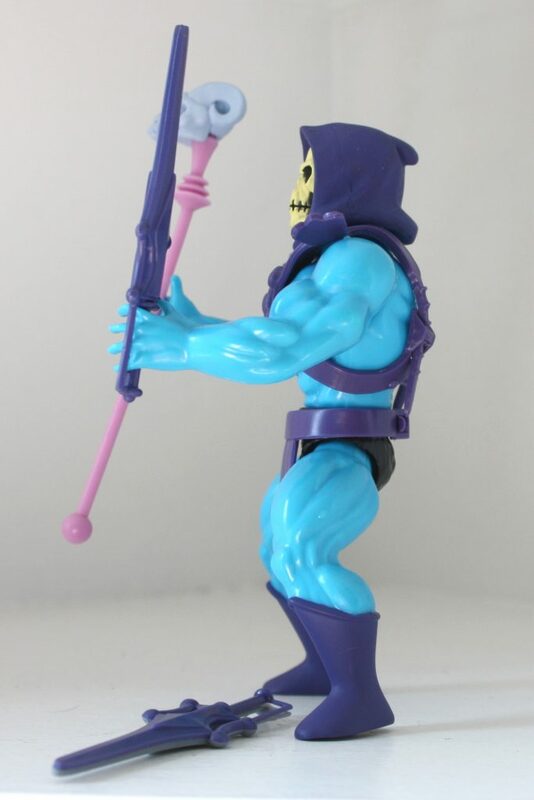 The figure comes with a pretty Filmation-accurate Havoc Staff, with the exception of the color, which came out more pink than light purple. 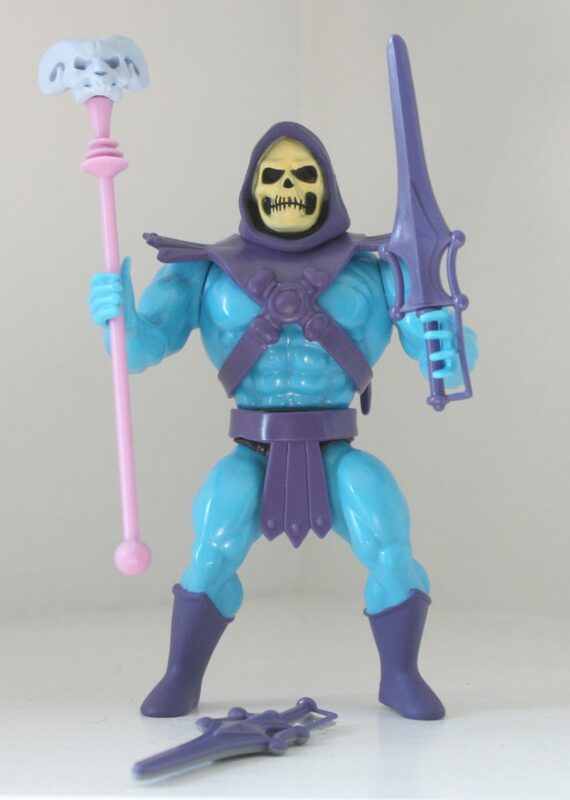 Skeletor also includes a purple version of the He-Man’s cartoon style Power Sword (not a weapon Skeletor used in the cartoon, but a nod to the vintage figure), as well as a half Power Sword that fits together with the 2018 Super7 He-Man figure. 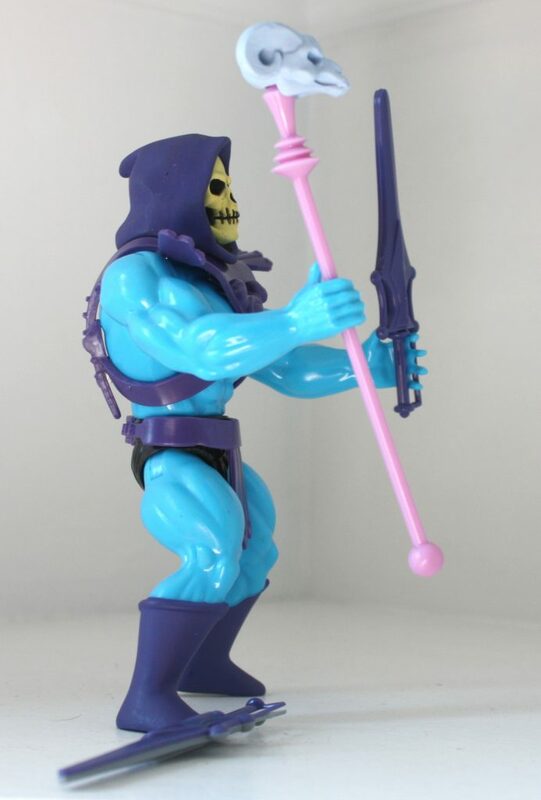 The Swords are pretty closely based on the animated design, but also feature a hand guard, which Mattel tended to use on almost all of its swords in the vintage line. Out of the packaging the armor tends to ride a little low, and it’s fairly stiff plastic, making it difficult to adjust. 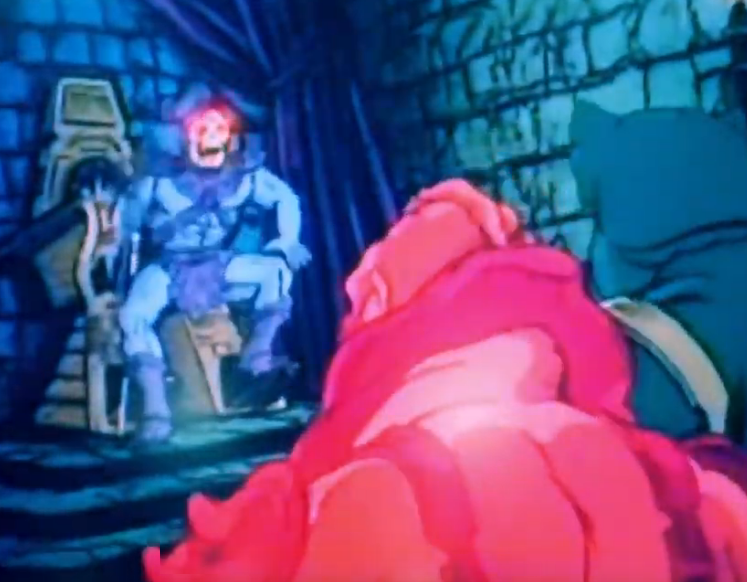 However, 10 seconds with a hair dryer makes it temporarily rubbery and pliable, which allowed me to adjust the armor to sit correctly, as shown in my example above. 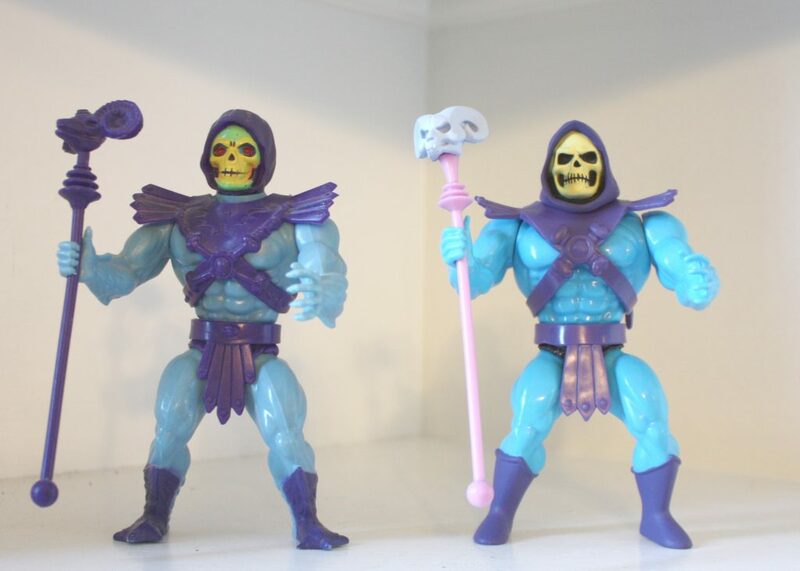 Compared to the vintage figure, the 2018 version is certainly less detailed, but the face actually looks a bit more evil. The new version has a hard head as opposed to the soft, hollow polyvinyl of the original. 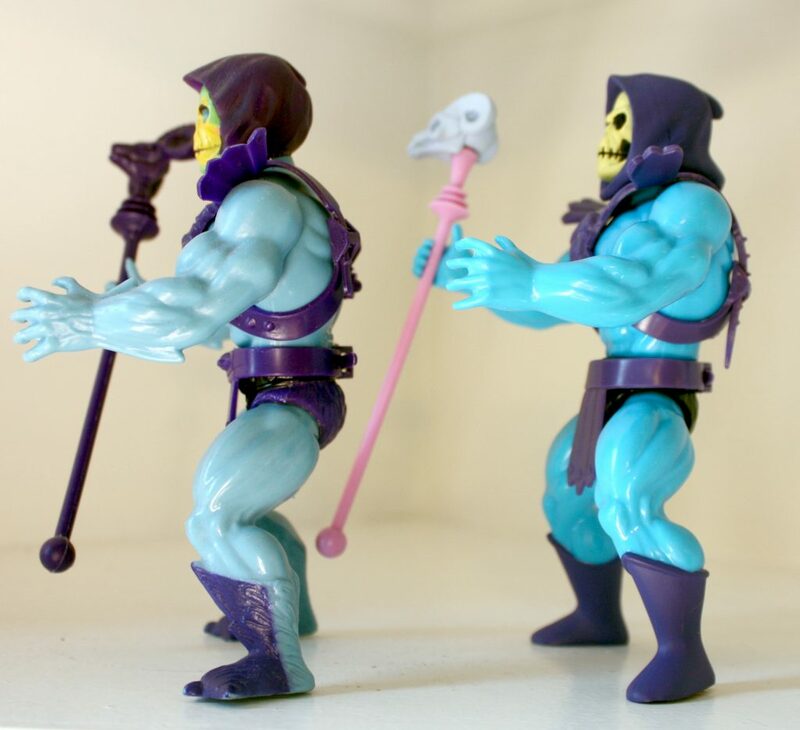 The Filmation-inspired Skeletor’s blue skin is also quite vivid compared to the pale blue of the original. The design of the packaging was directed by The Power and the Honor Foundation. 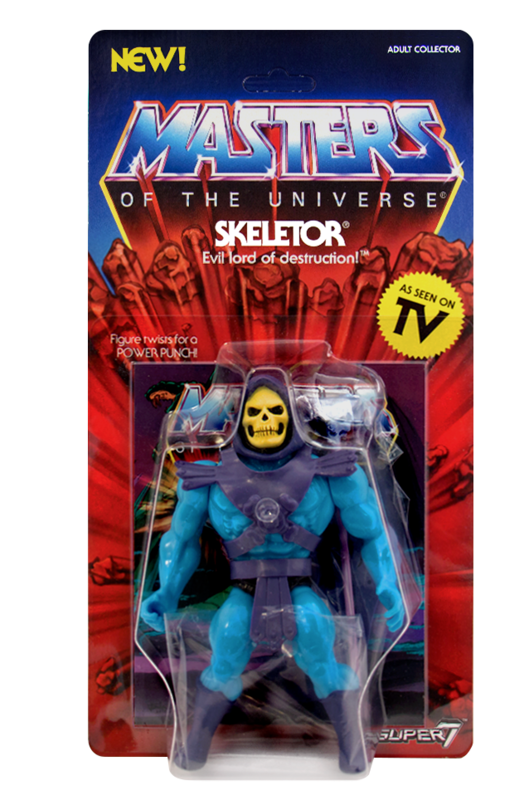 The main carded version (which was actually released second) is based on the original 1980s design, with an “AS SEEN ON TV” burst which, although not featured on vintage MOTU packaging, was pretty commercially ubiquitous at one point. The shape of the bubble on the front has been altered compared to the vintage packaging. 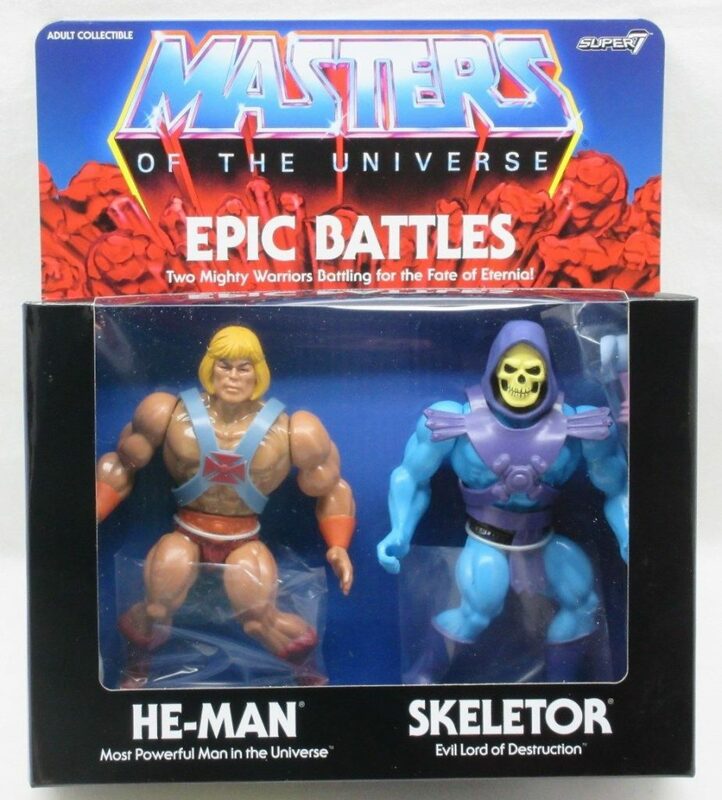 The first version to be released was actually a two pack, in the style of some of the vintage figure gift sets. This set was released in limited numbers.